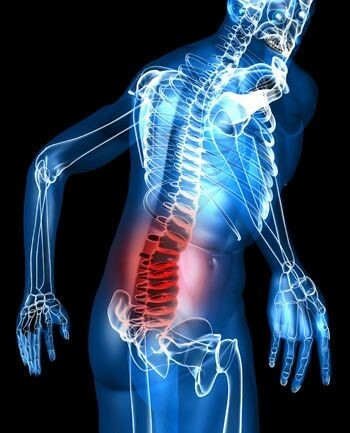 Low back pain is one of the most common conditions that people suffer from these days. Although, low back pain can be of many types, Mechanical low back pain is probably the most common. Whenever there are abnormal forces and stress on the lower back muscles, the resulting pain is commonly called mechanical low back pain. Bad habits, such as lack of exercise, poor posture, improper seating at work, repetitive activities such as lifting, pushing and pulling with poor body mechanics all contribute to possible low back pain. These minor traumas can cause tissue damage, which may lead to pain and become chronic in nature if not addressed. What can you do to avoid and manage Mechanical low back pain? 1. First things first, improve on your posture and body mechanics on a daily basis. Start by making some good habits. 2. Get an ergonomic assessment done for your work-space. A sit/stand desk is ideal for people with prolonged sitting jobs. It allows you to change your position and pressures on the low back. 3. Core strengthening. Consult your Physical Therapist about what exercises are recommended for your low back pain before you start any. 4. If you are not sure where to begin, book an appointment with your Physical Therapist for an assessment and management of your pain.